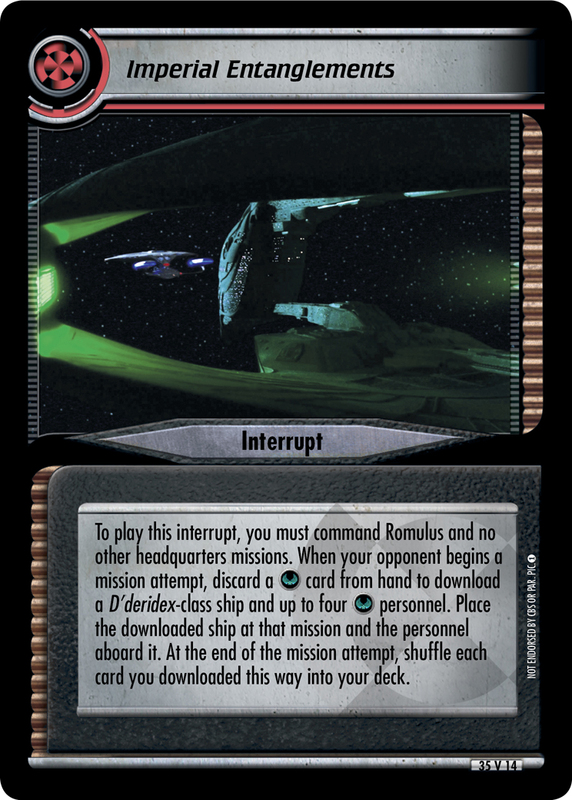 To play this interrupt, you must command Romulus and no other headquarters missions. 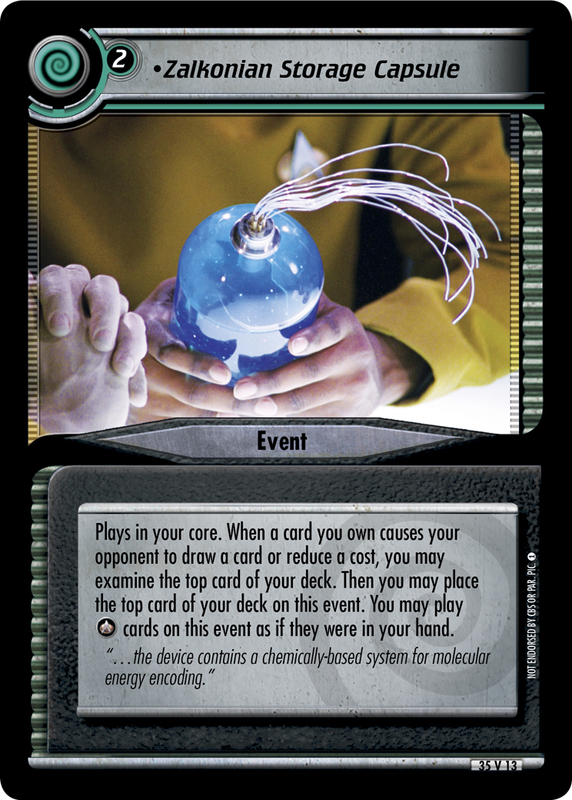 When your opponent begins a mission attempt, discard a card from hand to download a D'deridex-class ship and up to four personnel. Place the downloaded ship at that mission and the personnel aboard it. 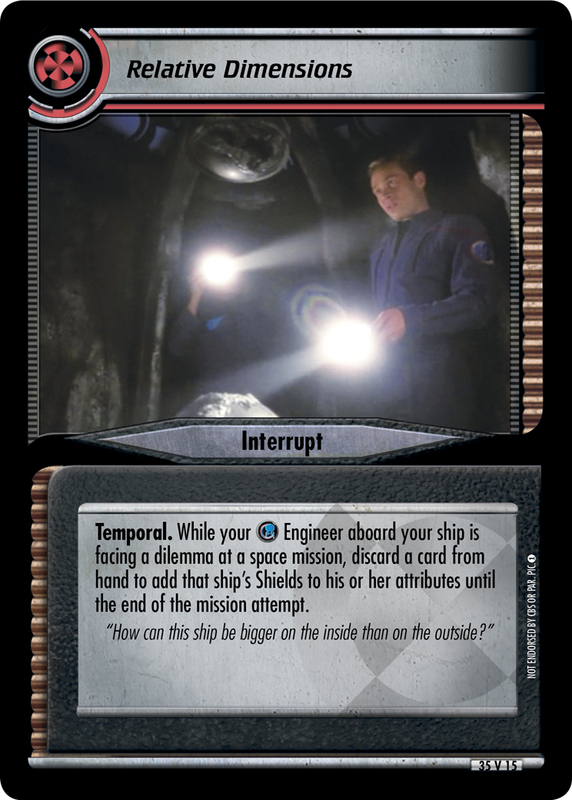 At the end of the mission attempt, shuffle each card you downloaded this way into your deck.